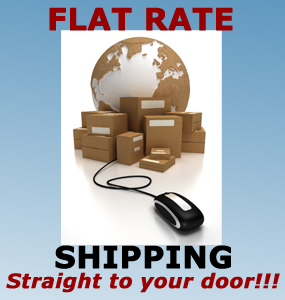 Home » Posts Tagged "New york city aftermarket parts"
If you are in the market to replace a broken window Bracket then look no further. you may be wondering where is the window bracket on your car is located. This video will show you where that cars window bracket is located in the window. The lady who owns the car explains who it all works. She is getting it installed by New York City Auto Salvage in JamaicaÂ Queens NY. New York City Auto Salvage & Glass is in business since 1947, finding the best Aftermarket Parts and Infomation for your auto need anywhere in the NYC area. If you are looking for new, used or aftermarket parts for your car or moto, you find your place. 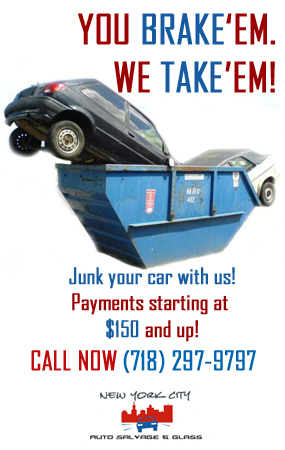 Our store and junk yard are located in Jamaica, Queens, NYC, and we serve all the 5 boroughs. We only use the best parts to ensure a perfect fit for your projects. Please contact us with any questions and ask for Vinny. Mention this blog post and get a discount when doing business with us.